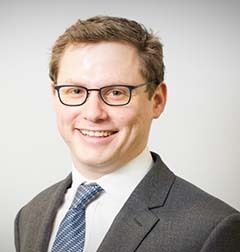 Based in our Melbourne Office which opened in November 2016, Charles works primarily in litigation and dispute resolution. Charles represents both plaintiffs and defendants and has experience in managing large-scale litigation including large-scale discovery and using ‘big-data’ to shape a holistic approach to case management. Charles has also appeared in a number of criminal law matters. Between 2014 and 2016 Charles was initially seconded and then employed by one of Carroll & O’Dea Lawyers’ major clients, this experience deepening his litigation practice and entailing frequent involvement in a Royal Commission and other Inquiries. Charles joined Carroll & O’Dea Lawyers in 2010. He graduated from the University of Technology Sydney with a Bachelor of Communication (Journalism) and a Bachelor of Laws. In 2012, Charles spent six months studying law at the City University of Hong Kong. Charles is admitted to practice in both Victoria and New South Wales. He is a member of the Law Institute of Victoria and the Australian Lawyers Alliance. Charles is currently undertaking a Master of Laws at the University of Melbourne.